Ron Geibel (b.1985) received a MFA from the University of Montana and a BFA from Edinboro University in Pennsylvania. Geibel has exhibited his work in Canada and throughout the United States including the New York Ceramics and Glass Fair, NYC; Indianapolis Art Center, Indianapolis; Houston Center for Contemporary Craft, Houston; and Manifest Gallery in Cincinnati. He has been an artist in residence at the Clay Art Center in Port Chester, NY; The Chautauqua Institution in Chautauqua, NY; and the Northern Clay Center in Minneapolis, MN. His work is featured in Create Magazine, ArtMaze Magazine, and Ceramics Art and Perception. Currently, he is a Visiting Assistant Professor of Art at Southwestern University in Georgetown, TX. 2016 Ceramics: Art and Perception. "A Fanciful Notion," Exhibition Review by Caitlin Brown. Issue 103. 2015 Northern Clay Center. "Sexual Politics: Gender, Sexuality, and Queerness in Contemporary Ceramics." 2015 The Advocate.com. "Contemporary Ceramics: Glazed, Fired, and Queer." 2015 American Craft Council. 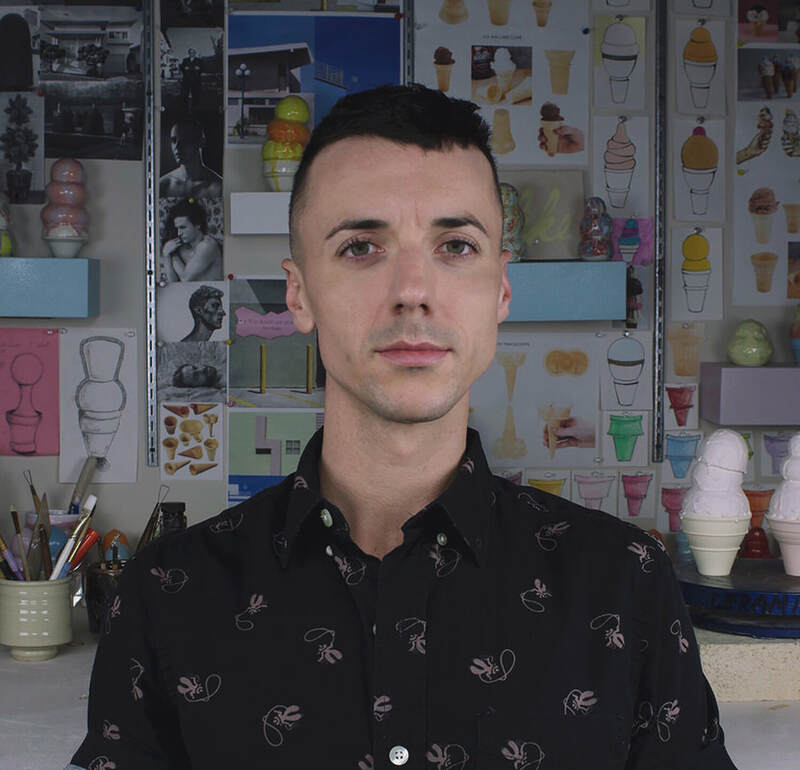 "Gender, Queerness, Sexuality, and Contemporary Ceramics."